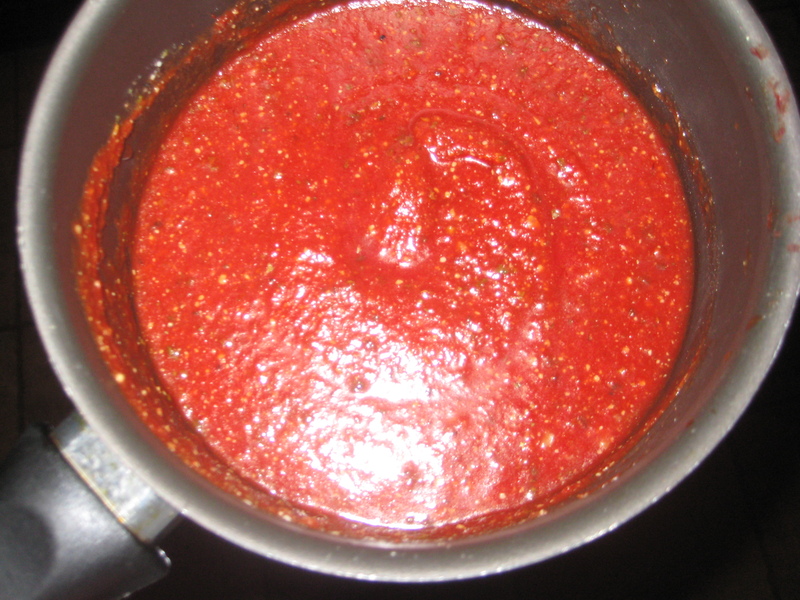 I have never liked Red Sauces: Pizza sauce, marinara sauce, pasta sauce. Ehhk. Growing up, my brother, Darwood, would disgust me with his pizza sandwich fixation. He would take a piece of bread, lather it in pizza sauce and throw on a slice of American cheese topped with the other piece of bread. But that strong distaste for all red sauces has changed. 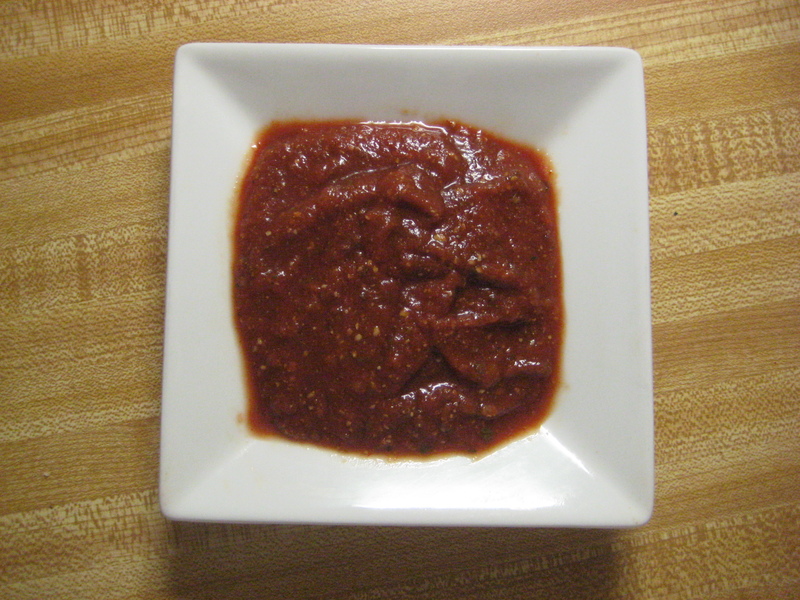 I recently made this pizza sauce recipe. I never knew that a tomato based sauce could be so delicious. The sweet and spicy combination won my heart. I was literally eating this pizza sauce out of bowl with a spatula. I couldn’t get enough. This was REVOLUTIONARY for my previously picky taste-buds. You should seriously taste this stuff— even if you don’t have a pizza crust. The sauce is that good. I might even be able to scarf down a pizza sandwich now. In a small bowl, mix well. Let the flavors mix for 30 minutes. My new aim is to find a tomato pasta sauce equally tasty. Happy Cooking in your Kitchen!